I’m decorating for Halloween and I’m really excited so I’ll make this quick. I made this blouse and it’s probably one of my favorite pieces I’ve made recently. 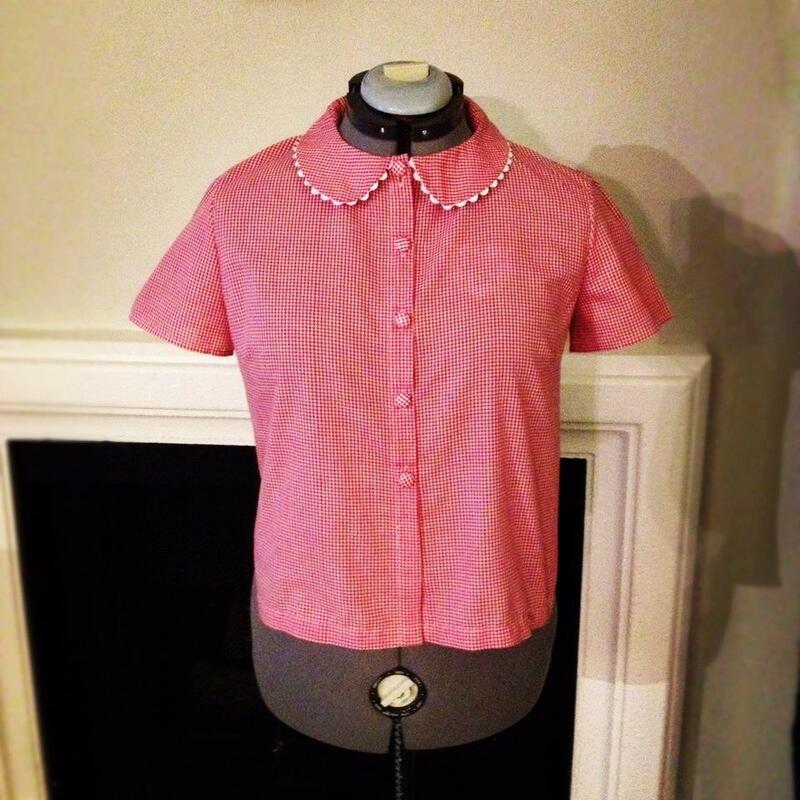 It started out as a regular button down with an open turnover collar. I kept changing it and cut 6 different collars until it evolved into this. Bad light. Sorry. I’ve been lazy with camera work. 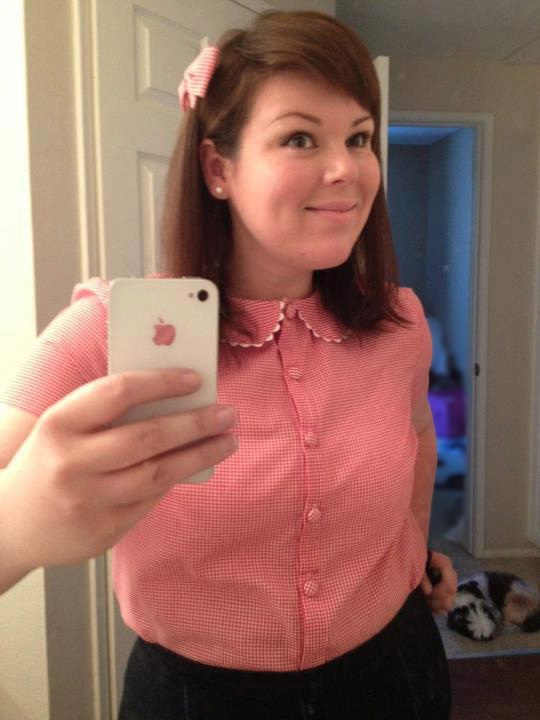 I have been wearing it with my high waisted denim cigarette pants and saddle shoes. Fun, fun. Bad cellphone pic. The usual. Well, that’s all for now. Toodles, Poodles!